I met and visited Boreal Folk at a local market this week I got some bath salts that look and smell like the forest as well as a shampoo bar. I am looking forward to interviewing Boreal Folk and showing you their fun van. Before Mail Time I tell you about the Just Like Me Interviews that we do in our membership community where I interview our members and tell their stories of how they came to yoga and interact with yoga. Thank you for your mail Ivy. My lip balm finally arrived from Jane Ellen’s Etsy shop. 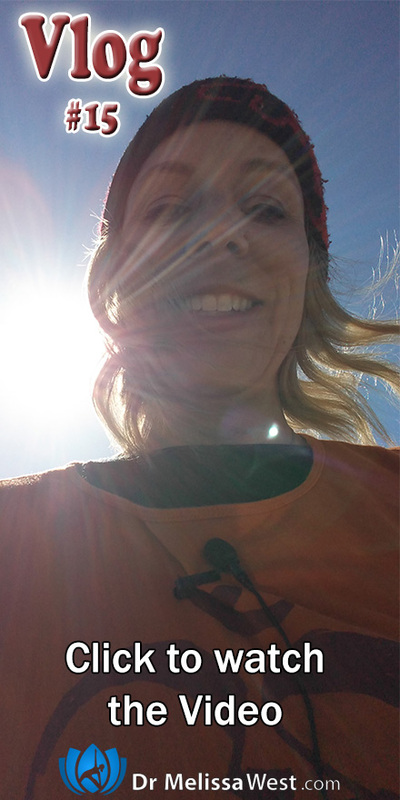 On Thursday we filmed two membership classes and one Living Your yoga video. I filmed a Traditional Chinese Medicine Yoga class for your liver meridian and a brain yoga class to help you with your standing balancing yoga postures. I also filmed a video with a hand massage for stiff hands and wrists. You get to see some of the challenges of finding an outdoor filming space amongst so much noise pollution. My week finished on a high note with the Alchemy Crystal Singing Bowls concert with Nancy Watters. They are crystal singing bowls that vibrate with the healing properties of the crystals. I found the vibrations to be incredibly cleansing, healing, restorative and uplifting. The sound vibrations cleared the residual of the migraine I was experiencing. I slept deeply and woke up feeling more rested than I have in years. 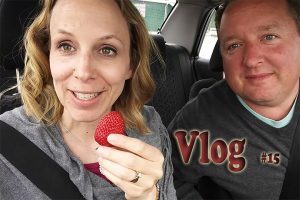 Strawberries are out at Gobind Farms in Victoria which makes Tim and I giddy and turns us into a giggling mess if you make it all the way to the end of the vlog. Can you tell I am a vatt and Tim is a kapha? While I wax poetic about fruit, Tim manages to hoover in about half a dozen strawberries! Ha ha!